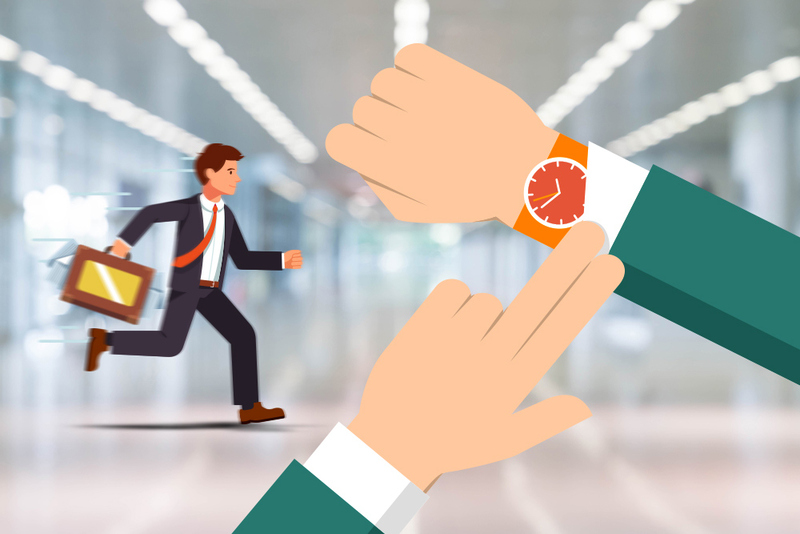 Members of your team who arrive late in the office from time to time may have specific reasons behind their tardiness. But once it becomes a habit, then there’s probably a brewing issue underneath it. This bad habit must be handled professionally to make sure that it does not disrupt the productivity of the workplace. Being habitually tardy shows flagrant disrespect to the organization, which is not good for the well-being of everyone in the office. These acts should not be tolerated. There are ways to handle the issue such as setting rules that outline the consequences of this adverse attitude. The following tips may help you get rid of such instances if you implement it. The tardiness problem is nothing but immature behavior or a rather lax approach towards the company authorities. This problem can be solved with the old school technique that parents use, which is through verbal reprimand. It is normal for us to feel utterly disappointed with ourselves when someone we look up to is disappointed due to our misgivings. We feel ashamed when our respected people get the blame for our bad behavior. Through scolding, the employee will know that because of his fault other members of the team are paying the price. The worst things may happen if you act in haste or based on emotion when you solve a problem. Time may be important but you might lose members of your team. Look deeper into the problem first and if the reason is valid, then go ahead and tackle the problem professionally. Talk to the employee in private and ask him to explain his side. Tell him the consequences of being tardy and how it may affect the company. Afterward, have an agreement and create an action plan. If the reasons are valid, then you can work out on a solution, such as giving them a flexible schedule. However, make sure that with such privilege they’d be more productive and deliver their output on or ahead of time. Remind them of the consequences. The results of habitual tardiness must be made clear to all members of the team. It is better to discuss with the team the action plan you need to take to minimize instances of being late. Let them know why punctuality is crucial not just for them but for the whole organization. Show them with the assistance of visual aids and a presentation so that the message is very clear to them. Impose the time in which everyone must be already in their workstations. Afterward, make sure that every member of the team agrees. Reward them for good attendance. Create some sort of reward system for members of the staff who have achieved perfect attendance for the month, quarter and the year. Prizes may be in the form of cash or gift cheques. This incentive system will not only motivate your staff to come in time but also foster a culture that embraces punctuality and professionalism. Turn your office into a place that they will love working in. Design a comfortable workspace in your office space in the Philippines, which is well ventilated and lighted. The pantry must be a place where they can enjoy eating and bonding with each other. Have a room dedicated to relaxation and stress relief. If you can’t do anything about the floor plan, then try doing things that will put fun and good vibes into the office by occasionally injecting fun and humor into the shift.